Cricket Green is going to change a lot in the next 20 years. The community is growing and getting younger. New public transport routes are planned. Over a thousand new homes could be built. The Wilson is set to be redeveloped to provide new health and community services. The green spaces around The Canons will see investment and a new cafe. The Burn Bullock and White Hart could reopen and the old fire station be given a new use. All of this could improve our neighbourhood but it could also do harm. The Conservation Area and its environs are sensitive and easily damaged. More shops could close and green spaces and gardens could be lost. The local workshops and yards could be built over and rising traffic could cause more pollution and make it even harder to cross the roads. 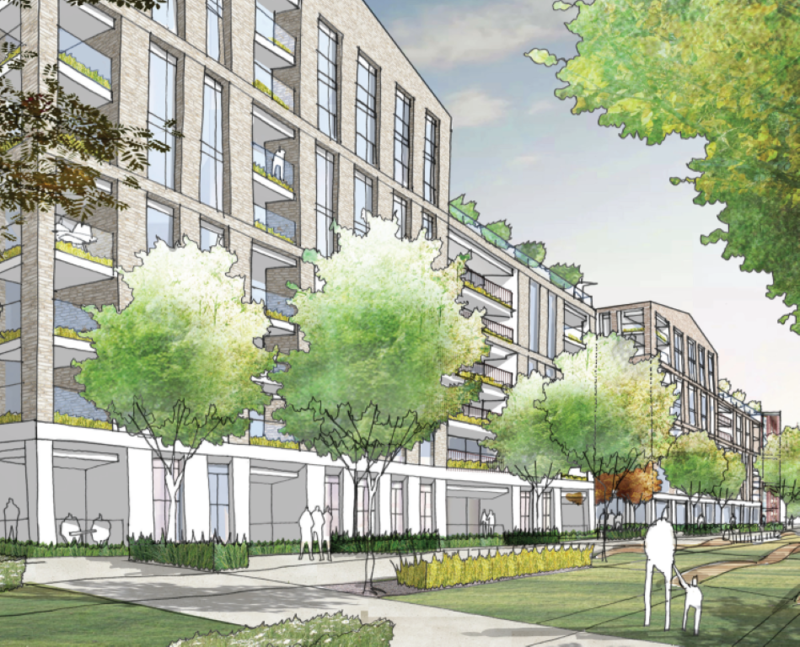 Merton’s new Local Plan will have a major influence on how Cricket Green changes. It is the keynote document containing all the policies that decide where and what kind of development is permitted and how well it should be designed. The Local Plan is under review and we have set out our stall for how it should guide Cricket Green’s future. We’re disappointed that too many of the policies are so vague they won’t help ensure the high quality of new building the area deserves. We’ve asked for the policies governing development sites, such as Benedict Wharf, The Wilson and The Birches to be strengthened. 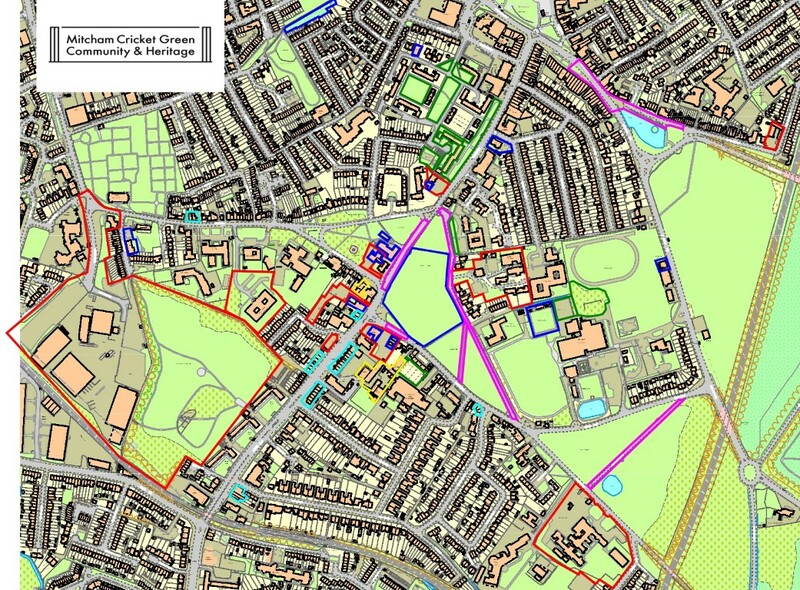 We’ve also identified the shopping parades in Church Road, London Road and Bramcote Parade for protection. We are looking for more cultural facilities and we want Merton Council to identify and protect local community assets such as the Wandle Industrial Museum. 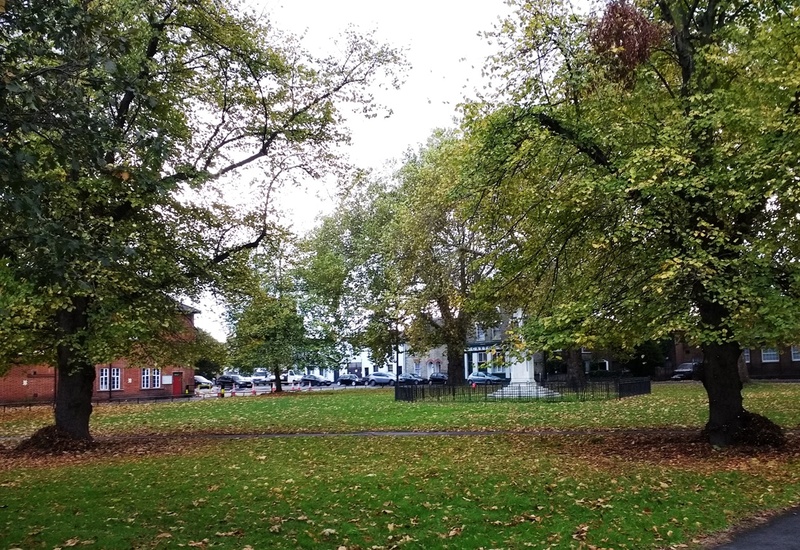 We’ve asked for extra protection for the green space behind Mary Tate’s almshouses and in Glebe Court. 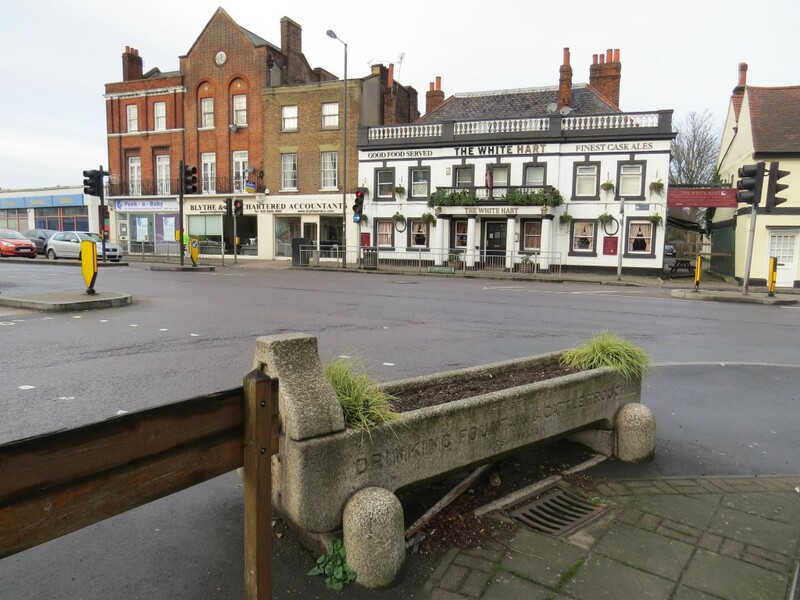 We want investment in the streets and pavements to make London Road and Jubilee Corner more pleasant and to close King George VI Avenue to prevent car parking at the heart of Cranmer Green. We want more trees to be planted and local ponds protected. We’ve welcomed the Local Plan’s expectation that Mitcham cricket pavilion will become community run. 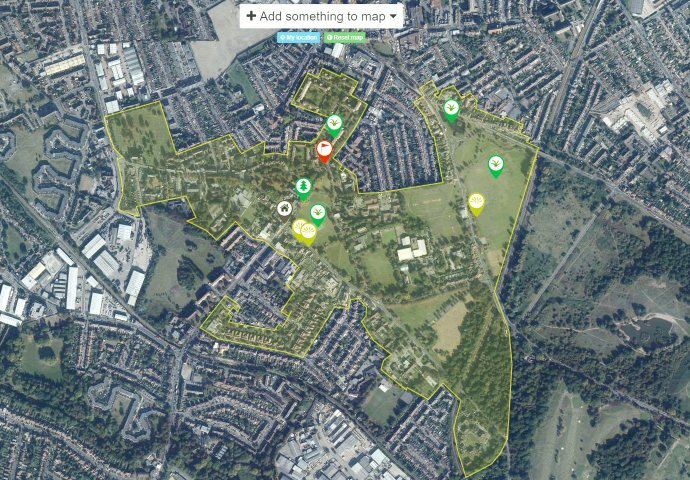 The Local Plan also needs to set the standard for good design and prevent Cricket Green becoming an area dominated by blocks of flats. We favour new homes based on streets and houses. It is important that the Local Plan sets an expectation that local people will be involved in shaping development ideas well before they get to the stage of a planning application. It also needs to be backed by a stronger commitment from Merton Council to enforce planning laws when people develop without permission. The Local Plan is expected to go to a public hearing later this year and come into force in 2020. 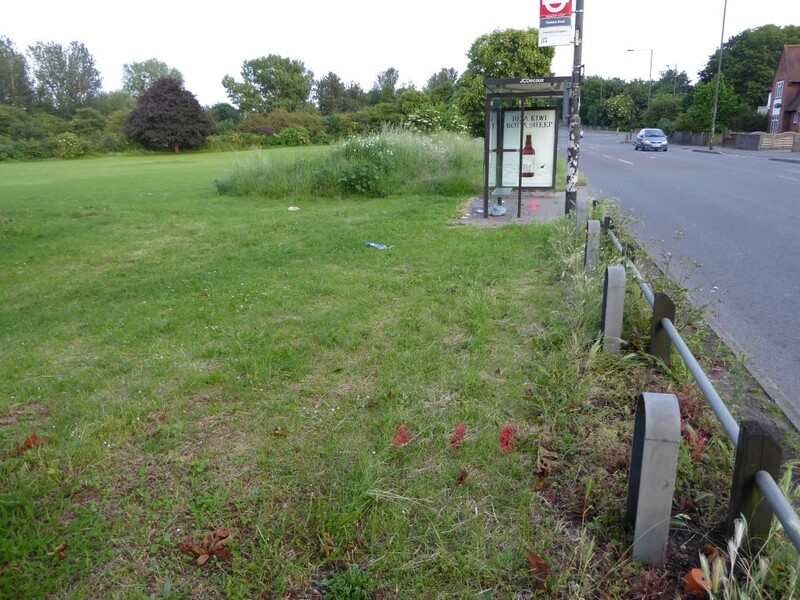 This entry was posted in Cricket Green Conservation Area, Submissions and tagged Local Plan, Local Plan 2020, Merton Council on January 7, 2019 by mitchamcricketgreen. Mitcham has benefited greatly from the opening of the tram in 2000 and there are plans afoot which could bring new transport links running through Benedict Wharf. 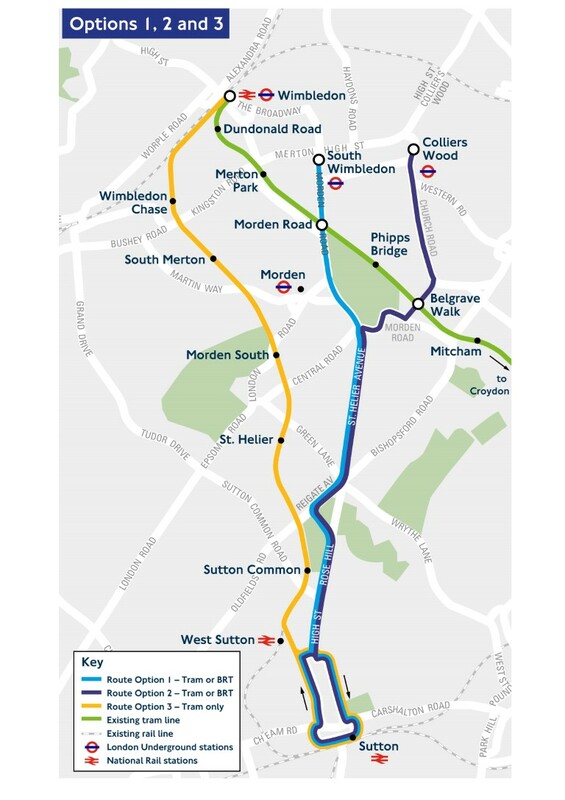 After years of concerted lobbying Transport for London is consulting on options for a tram or bus rapid transit route to Sutton town centre. One option would link to South Wimbledon and another to Colliers Wood. We have welcome the potential of the Colliers Wood option. This would run across the existing tram route at Belgrave Walk and through the car pound to join Church Road near to Mitcham parish church. It is disappointing that the legitimacy of the consultation is undermined by failing to include details of where trams or buses will be stored and maintained. There is also a lack of detail over the precise route which will require some demolitions. We have asked Transport for London to consult again with more detail before a decision on the principle of any route is made. The plans coincide with the emerging proposals for 500-800 homes on Benedict Wharf but neither consultation mentions the other. We have also asked that the crossing of the existing tram avoid an intrusive over-bridge which would be visible from the Wandle Valley and Mitcham Cricket Green Conservation Areas. There is also an opportunity to celebrate the route of the Surrey Iron Railway – the first public railway in the world – which would be followed by the Colliers Wood option. This entry was posted in Cricket Green Conservation Area, Submissions and tagged Sutton Link, TFL, Transport For London on December 31, 2018 by mitchamcricketgreen.